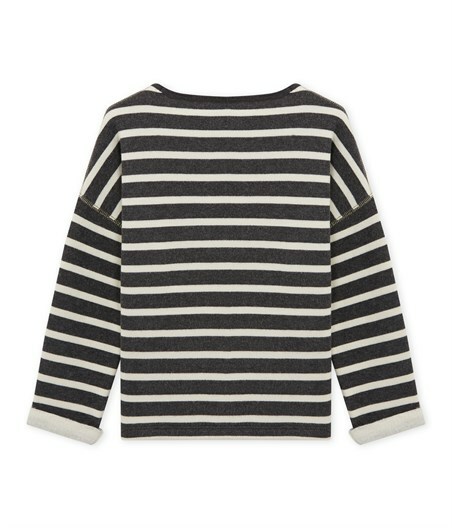 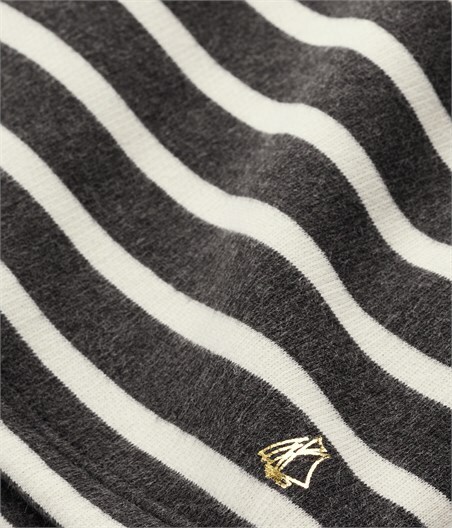 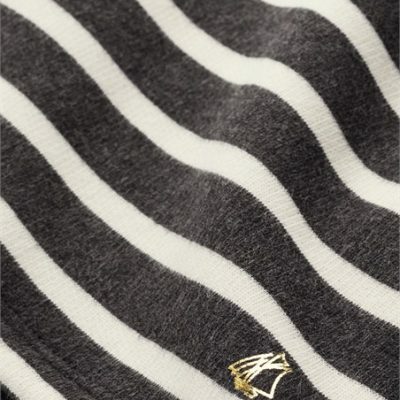 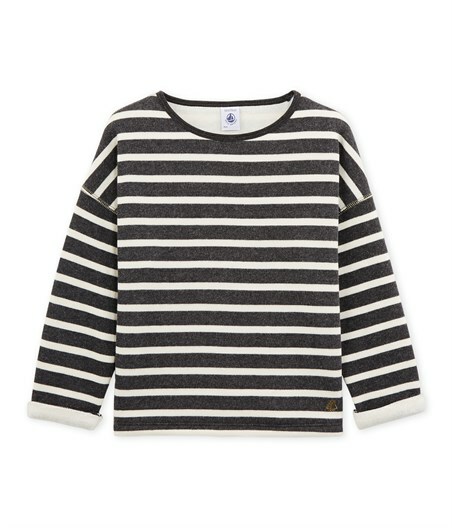 You’ll love this girl’s sailor top in fleece, a soft, warm fabric that’s ideal for the winter season. 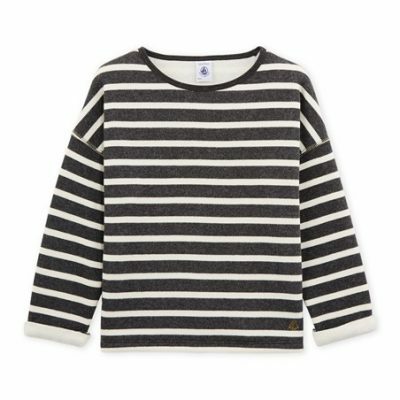 Note the way the dropped sleeves give a loose look to this child’s garment. 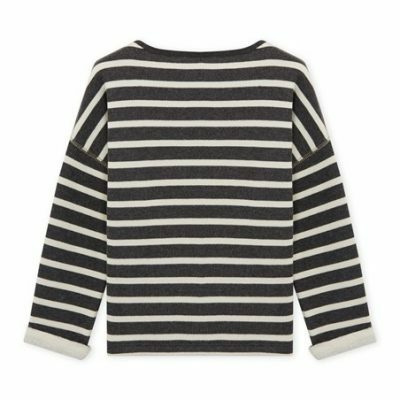 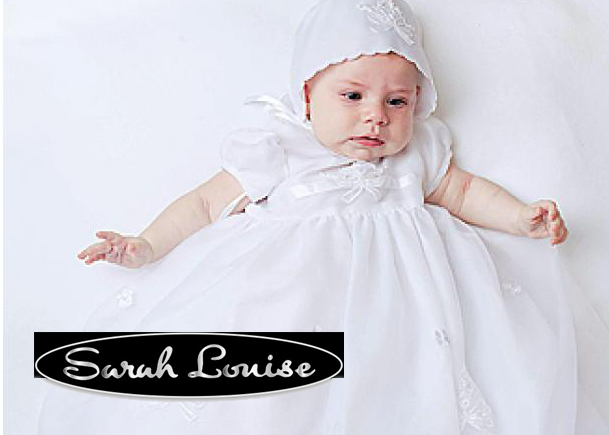 Careful detailing includes sleeve cuffs and the delicate touch of gold lurex on shoulder seams and armholes. 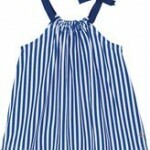 A perfect sailor top to wear with plain pants or a skirt for a fashionable look.